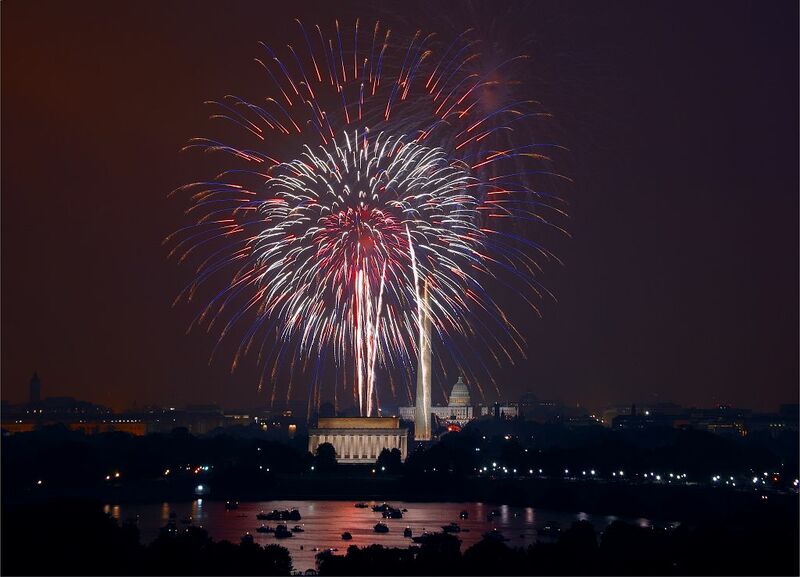 This 2008 photo of fireworks in Washington, D.C. was taken by Carol Highsmith for the Library of Congress. You can find it on Flickr Commons, a great resource for images in the Public Domain. For a link to Flickr Commons, use our Images Research Guide.